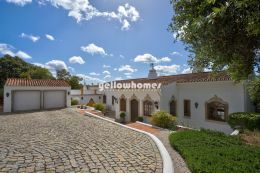 Do you wish to buy a property in the Algarve Portugal and would like to finance part of the purchase price? Applying for a mortgage in Portugal is not only a common, but also a relatively simple process! A trained financial adviser at your trusted bank will advise you professionally and will pave the way to your own home in the sunny south. Before you take a purchase decision, it is advisable to make an appointment with one or more Portuguese banks in order to collect more information about the mortgage conditions. After your personal financial situation has been evaluated and approved, the selected property will be valued by an independent surveyor. Only after the survey report is done and sent to the mortgage department, the bank will communicate which amount and under which conditions the mortgage will be provided. In general, Portuguese banks require a life insurance to secure the amount to be lend.